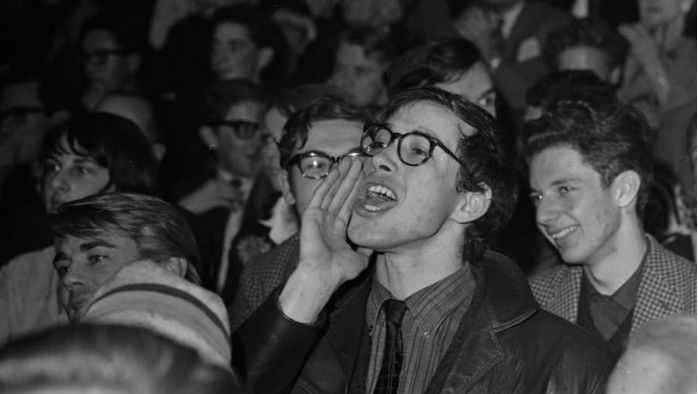 Hecklers are more vocal than ever. Beating a heckler is more about finesse and diversion. Get the tools to be in charge and always confident. Learn the 3 fatal mistakes that can turn a room upside down and maybe get you hurt or fired. 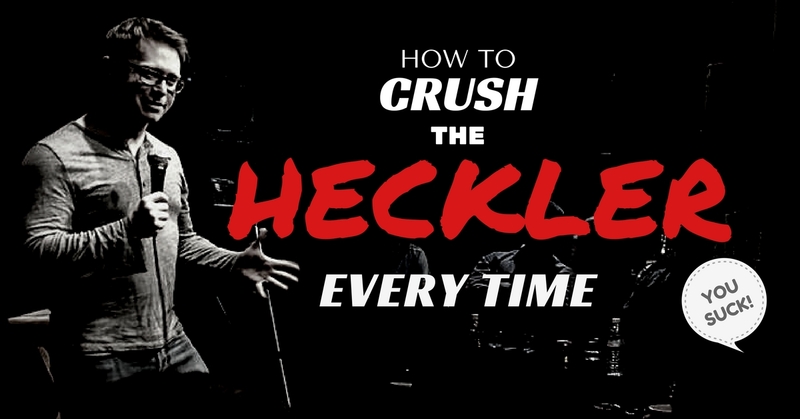 Learn the 3-steps process to win any heckle battle within seconds. Many comedians have hecklers all wrong. This trick could be the difference between success and failure. 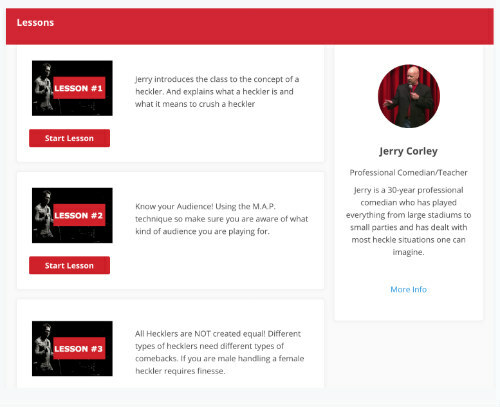 In this course, Jerry will ensure that you have the tools that will enable you to understand the psychology of a heckler. Why they heckle in the first place and how to use exactly what they say against them. You will be able to build your toolkit so you always have something prepared. Sometimes the comedian is just asking to be heckled. You will learn the signs of when you're an easy target and how to avoid that. You will also learn how to let the audience know that you're probably not the comedian they want to heckle. 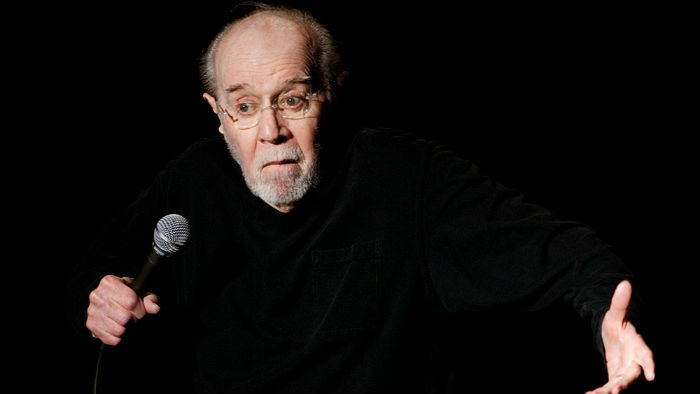 Despite his abrasive nature sometimes, George Carlin knew it was still a comedy show. There are several techniques he taught me that I will show you. Including this simple trick to keeping the show playful and how to place your material in your set to get the audience back if it gets rowdy. With the political climate as heated as it is, hecklers are more vocal than ever. Are you prepared to deal with them? 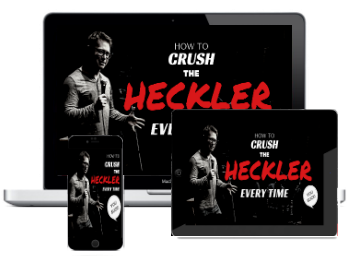 This 10-lesson video course will open your eyes to how to deal with a heckler at your show or presentation. 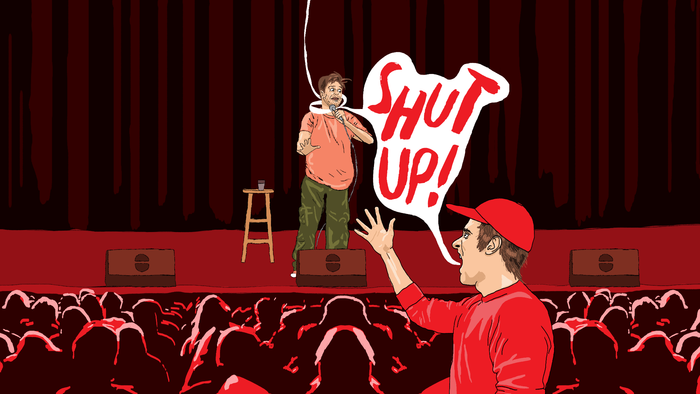 There are so many myths out there about how to handle hecklers in comedy. In this course we will investigate the theories and prepare you with the best approach to dealing with a heckler. Having the tools to deal with a heckler effortlessly and having the professionalism of keeping the evening in a comedic mood is crucial. This 10-Video Course is set up in a super clean easy-to-follow layout. 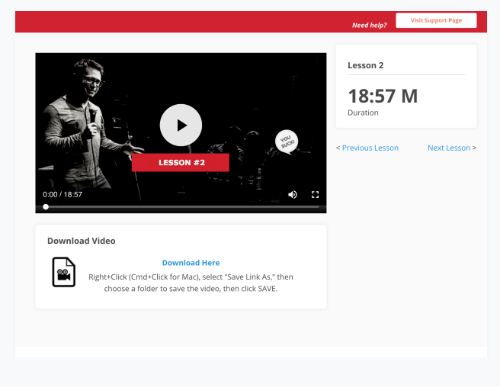 Simply watch the video and when ready, click next lesson and the new lesson loads easily. Or jump ahead to a certain section. Either way, videos can be viewed by streaming, just like binging your favorite Netflix show! 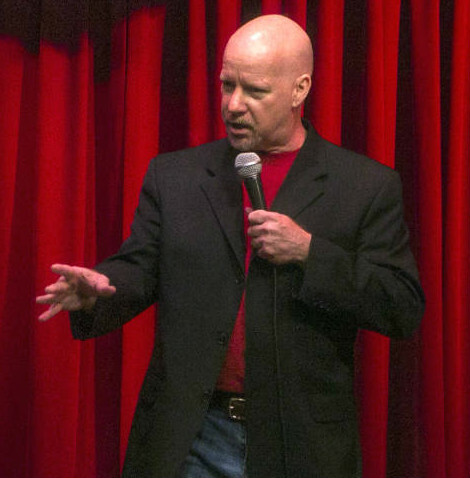 Jerry Corley, the founder of the Stand Up Comedy Clinic in Burbank, California built his reputation as a 'road-warrior,' in stand-up comedy. A normal year would be 40+ weeks of work on the road, playing clubs, colleges and corporates all over the country. Multiply this by 27 years and you have a person with solid experience in dealing with crowds of all kinds. "There are ways to handle hecklers the right way and the wrong way... I've had enough experience handling them the wrong way to impart the right way..." I've had a beer bottle thrown at my head... and after hitting a heckler too hard, this one guy went out to his truck and got a gun..."
"So my focus is how to keep the show a comedy show and not let it turn into a bar fight or a panic." When you purchase the course you'll be taken to the Stand Up Comedy Clinic's "Online Course Portal" where you will choose the course you selected. 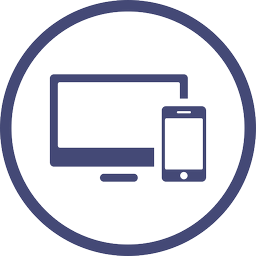 From there you will be able to start streaming the course online on any device immediately! 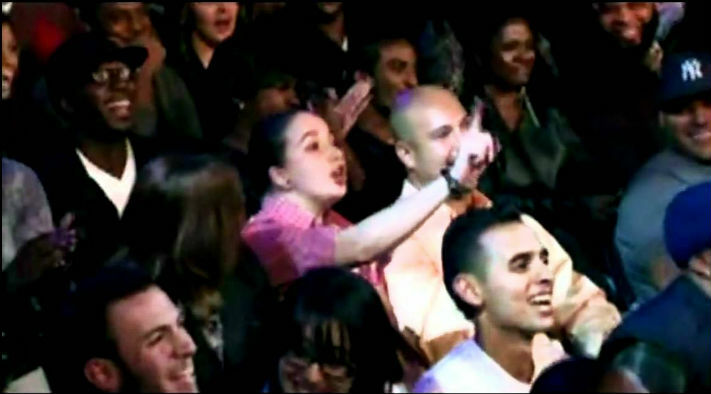 How to Crush the Heckler Every Time! Anytime Streaming Access or Download... you won't find another course like this anywhere! Every Jerry Corley Online Course comes with a 30-day 100% money-back guarantee. If for any reason you are not satisfied with the course, contact us and we will refund your purchase.